This lovely black mare, is the dam of our senior stallion, RG Stuart's Monarch. 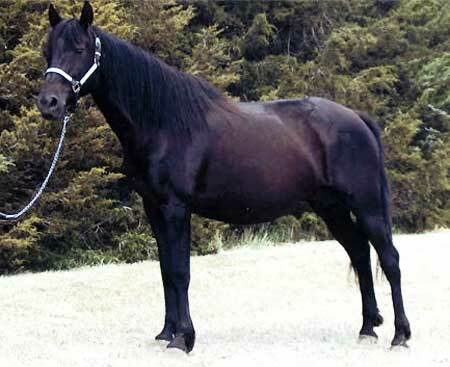 She repeatedly produced quality foals including our future stallion GRM In The Black, who is homozygous black. Her pedigree speaks for itself. Full of Flyhawk. Lady D and her offspring will be truly missed, not only by us, but by our customers also.